Hobby tour package meets the special interest and hobby of the tourists. Hobby tour offers different type of activities such as learning local culture, art and architecture and religion, bird watching, wildlife, photography, boating and fishing, horse riding, yoga and meditation and family adventure. We do not stay away from the city area in hobby tour with a group of family. Most of the sightseeing spots are close to the city area with easy trail. There are some good resorts close to the tour spots where we stay overnight. So, it is easy to get to the hospital from the resort in case of illness. Depending on the interest of the guests, hobby tour can be arranged outside the Kathmandu valley also. The most popular hobby tour are listed below. 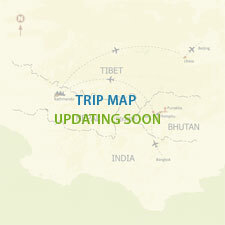 Local Culture Tour: There are lots of place in Nepal for local culture tour. We have many ethnic groups who have their own culture. The culture of main ethnic groups such as Newar, Sherpa, Tamang, Gurung, Thankali, Magar, Limbu and Tharu are most popular. As per the need and interest of the tourists we make culture tour packages that include one or more culture. The Kathmandu valley is the best place in Nepal for the art and architecture as there are hundreds of temple, stupas, monasteries, and royal palaces of medieval era. Bird watching is very easy tour which can be done individually or with family around and outside the Kathmandu valley. Tour cost: Please contact us. Wildlife is one of the major tours in Nepal. There are ten national parks to observe wildlife. The Chitwan National Park and Bardiya National Park are the best to tour with family. Nepal is full of green hills, lakes, snowcapped mountains, temples, stupas, monasteries and wildlife, including flora and faunas. We have regular photography tours. We make the tour package in accordance with the focused subject or need of the photography. Nepal is the birth place of Lord Buddha. There are many monasteries and stupas to learn Buddhism. Nepal is also a suitable place to study Hinduism. The combination of Buddishm and Hinduism is really interesting in Nepal i.e. the Lord Buddha born in Nepal is believed to be the 9th incarnation of Lord Vishnu, the supreme Hindu God. Most of the Buddhist stupas and Hindu temples present the combined features of Buddhism and Hinduism. Day 04: Fly to Jomsom -breakfast - drive to Muktinath (god of the libration) -take bath in 108 holy taps and worship to god Vishnu – lunch- drive back to Jomsom. Day 05: Breakfast -fly back to Pokhara-lunch in lakeside- fly back to Kathmandu and farewell dinner is provided with Nepali cultural program. Tour guide in your language. Entrance fees and government royalties. Travel insurances and cost of medical services & medicine. International air tickets, airport tax and Nepal visa fees. Other personal expenses, including tips.